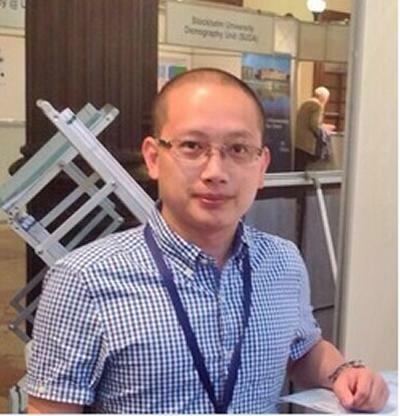 Dr Zhixin Frank Feng is Research Fellow within Gerontology at the University of Southampton. Zhixin (Frank) Feng is a Research Fellow in the Centre for Research on Ageing funded by the Economic and Social Research Council's Secondary Data Analysis Initiative. He is looking at the pension provision for minority ethnic groups in Britain, the determinants, prospects and policy implications of the current social security in Britain. He also tries to apply the advance statistics method—multilevel models to investigative whether there are some ecological effects of the determinants which not reducible to individual characteristics. Frank just completed his PhD thesis on “A Longitudinal Multilevel Study of the Health Outcomes for the Elderly in China” in the School of Geographical Sciences at the University of Bristol (2013). In his thesis, he studied the social security inequality among the elderly, the role of family and state in the support systems to the health of the elderly, the effects of income inequality on the health of the elderly, and the survival status of the elderly and how these effects vary in temporal and spatial scales. Feng, Z., Wang, W., Jones, K., & Li, Y. (2012). An exploratory multilevel analysis of income, income inequality and self-rated health of the elderly in China. Social Science & Medicine,75(12),2481-2492. Feng, Z., Wang, W., & Jones, K.(2013). A multilevel analysis on the role of family and the state in self-rated health of Chinese elderly. Submitted to Health & Place. (Forthcoming). Phillips, D. R., & Feng, Z. (2018). Global Ageing. In M. W. Skinner, G. J. Andrews, & M. P. Cutchin (Eds. ), Geographical Gerontology: Perspectives, Concepts, Approaches (pp. 93-109). Routledge. Falkingham, J., Evandrou, M., Vlachantoni, A., & Feng, Z. (2018). ‘Love in a time of Brexit’: Bi-national families and the UK’s EU Referendum. Paper presented at British Society of Population Studies, United Kingdom. Feng, Z., & Liu, X. (2018). Can state health investment prevent chronic diseases among older people in China? In British Society of Gerontology Conference British Society of Gerontology. Falkingham, J., Feng, Z., Evandrou, M., & Vlachantoni, A. (2017). Unravelling bi-national partnerships: the characteristics of individuals born in the EU living in England & Wales. Poster session presented at XXVIII IUSSP Conference, South Africa. Feng, Z., Falkingham, J., Evandrou, M., Vlachantoni, A., & Liu, X. (2016). Changes in living arrangements and survival among elderly people in China. Poster session presented at Population Association of America, United States. Feng, Z., Vlachantoni, A., Falkingham, J., & Evandrou, M. (2016). Ethnic differentials in health: the additional effect of ethnic density. Paper presented at American Association of Geographers, . Feng, Z., Vlachantoni, A., Falkingham, J., & Evandrou, M. (2016). Ethnic differentials in health: the additional effect of ethnic density. Poster session presented at Population Association of America, United States. Evandrou, M., Falkingham, J., Feng, Z., & Vlachantoni, A. (2016). Ethnic inequalities in health in later life revisited. Poster session presented at Population Association of America, United States. Falkingham, J. C., Evandrou, M., Feng, Z. F., & Vlachantoni, A. (2016). Unravelling bi-national partnerships: the characteristics of individuals born in the EU living in England & Wales. Paper presented at European Population Conference 2016, Germany. Vlachantoni, A., Feng, Z., Evandrou, M., & Falkingham, J. (2015). Pensions among ethnic elders in the UK. Paper presented at British Society of Gerontology Annual Conference, United Kingdom. Feng, Z. (2014). An exploratory discrete-time multilevel analysis of the effect of social support on the survival of the elderly in China. Paper presented at British Society of Gerontology, . Vlachantoni, A., Evandrou, M., Falkingham, J., & Feng, Z. (2014). Differentials in pension prospects for minority ethnic groups in the UK. Paper presented at European Population Conference, Hungary. Vlachantoni, A., Evandrou, M., Falkingham, J., & Feng, Z. (2014). Ethnicity and occupational pension membership in the UK. Paper presented at British Society of Gerontology, . Vlachantoni, A., Evandrou, M., Falkingham, J., & Feng, Z. (2014). Examining differentials in pension prospects for minority ethnic groups in the UK. Paper presented at Research Methods Festival, United Kingdom. Feng, Z., Vlachantoni, A., Evandrou, M., & Falkingham, J. (2014). Neighbourhood effects and pension protection amongst ethnic minorities in England and Wales. Paper presented at Association of American Geographers, United States. Vlachantoni, A., Evandrou, M., Falkingham, J., & Feng, Z. (2013). Differentials in pension protection amongst ethnic minorities in Britain. Paper presented at Gerontological Society of America, United States. Vlachantoni, A., Evandrou, M., Falkingham, J., & Feng, Z. (2013). Differentials in pension protection amongst ethnic minorities in the UK. Poster session presented at International Union for the Scientific Study of Population, Korea, Republic of. Evandrou, M., Falkingham, J., Feng, Z., & Vlachantoni, A. (2013). Individual and province inequalities in health among older people in China: evidence and policy implications. 1-40. Paper presented at Inaugural Worldwide Universities Network Global China Conference, Hong Kong. Vlachantoni, A., Evandrou, M., Falkingham, J., & Feng, Z. (2013). Pension protection for minority ethnic groups in Britain: determinants, prospects and policy implications. ESRC Secondary Data Analysis Initiative Networking Event, United Kingdom. Vlachantoni, A., Evandrou, M., Falkingham, J., & Feng, Z. (2013). Pensions protection for minority ethnic groups in Britain: Determinants, prospects and policy implications. Poster session presented at Annual Conference of the Social Policy Association 2013, United Kingdom. Feng, Z. (2013). Social security inequality among the elderly Chinese persons. Paper presented at Inaugural Worldwide Universities Network Global China Conference, Hong Kong. Vlachantoni, A., Wang, N., Feng, Z., Falkingham, J., Mcgowan, T. (Ed. ), & Dey, B. (Ed.) (2019). Informal caring in mid-life and its economic consequences. (CPC Briefing Papers; No. 46). Southampton: ESRC Centre for Population Change. Vlachantoni, A., Wang, N., Feng, Z., Evandrou, M., Mcgowan, T. (Ed. ), & Dey, B. (Ed.) (2019). Social participation and health outcomes among carers in Great Britain. (CPC Briefing Papers; Vol. 47). Southampton: ESRC Centre for Population Change. Falkingham, J., Evandrou, M., Feng, Z., Vlachantoni, A., & Mcgowan, T. (Ed.) (2016). Who are EU migrants in England and Wales? (ESRC Centre for Population Change Briefing Papers; No. 33). Southampton, GB: ESRC Centre for Population Change. Vlachantoni, A., Feng, Z., Evandrou, M., Falkingham, J., McGowan, T. (Ed. ), & West, G. (Ed.) (2015). A South Asian disadvantage? Differences in occupational pension membership in the UK. (ESRC Centre for Population Change Report; No. 3). Southampton, GB: University of Southampton. Evandrou, M., Falkingham, J., Feng, Z., James, K. S., Vlachantoni, A., McGowan, T. (Ed. ), & West, G. (Ed.) (2015). Midway between Manchester and Mumbai: the living arrangements of older Indians living in the UK. (ESRC Centre for Population Change Briefing Papers; No. 25). Southampton, GB: University of Southampton. Evandrou, M., Falkingham, J., Feng, Z., Vlachantoni, A., McGowan, T. (Ed. ), & West, G. (Ed.) (2015). Two decades on: the continuing health disadvantage of South Asian elders. (ESRC Centre for Population Change Report). Southampton, GB: University of Southampton. Ernsten, A., Feng, Z., & Everington, D. (2018). Mobile no more? The innovative use of administrative data linked to a census-based longitudinal study to investigate migration within Scotland. (Working Paper Series; No. 88). University of Southampton: ESRC Centre for Population Change. Vlachantoni, A., Feng, Z., Evandrou, M., & Falkingham, J. (2014). Ethnicity and occupational pension membership in the UK. (Centre for Research on Ageing Briefing Paper; No. 1). Southampton, GB: University of Southampton. Feng, Z., Vlachantoni, A., Evandrou, M., & Falkingham, J. (2014). Neighbourhood effects and pension protection amongst ethnic minorities in England and Wales. (Centre for Research on Ageing Briefing Paper; No. 3). Southampton, GB: University of Southampton. Vlachantoni, A., Feng, Z., Evandrou, M., & Falkingham, J. (2014). Pension receipt in the UK: are older individuals from ethnic minorities disadvantaged? (Centre for Research on Ageing Briefing Paper; No. 2). Southampton, GB: University of Southampton.